The work of a Captain is truly a ministry of invitation. For more than 65 years, Bellarmine Jesuit Retreat House has been the spiritual “home away from home” for thousands of people of faith. We depend on the tradition of men and women inviting, encouraging, and promoting the benefits of making a silent, Ignatian retreat at Bellarmine. The men and women who gather a group together to attend retreat are known as Retreat Captains. Captains recognize the deepening relationship with God that is fostered by setting aside time on retreat. 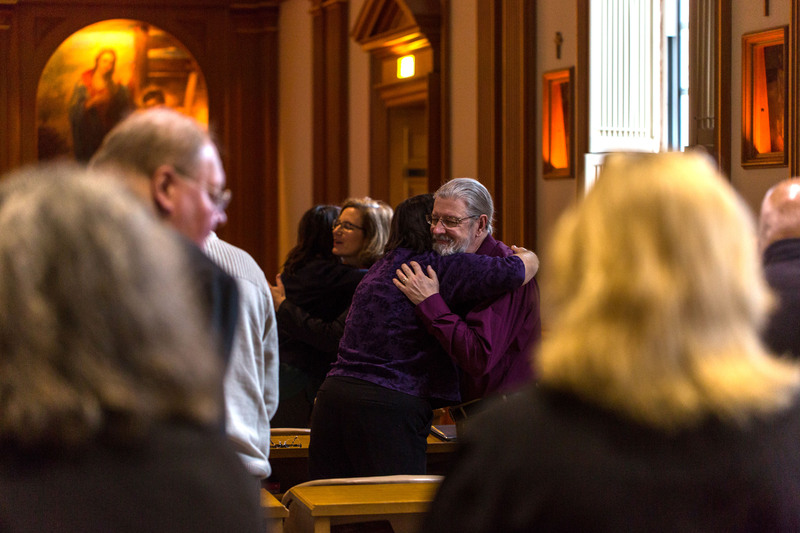 With this relationship comes a joy that must be shared; Captains reach out and invite loved ones, friends, neighbors, colleagues, and others to join them for a retreat experience that will guide them on their journey with Christ. To become a Captain or for more information, please contact Teresa Larson. Use the contact information above to speak with Teresa Larson, the office contact for Retreat Captains. Upon speaking with Teresa, you will receive a copy of the Captains' Handbook, which offers guidelines for best practices and a wealth of information about Bellarmine that will be helpful as you invite others to retreat.